Who is that svelte speedster? 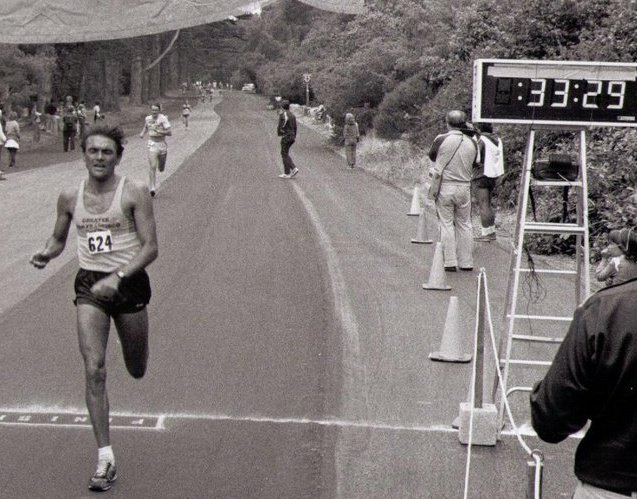 Well, that's my dad, circa 1983 at the Hook and Ladder race in Golden Gate Park. He was 38 years old when this picture was taken, already in his "decline" (his words, not mine), but still pretty fast! You may already know that I come from a family of runners. And one of the best things they've taught me is that running is for life. Not to be too cliche, but once a runner, always a runner. And my parents are no casual joggers. They've always run almost every day, not because they're super-human (though that's a possibility), but because that's just what they do - no pool running, no yoga (until very recently for Mama), the rare bike ride or hike - but really it's 99% running. A couple weeks ago my dad had surgery to put a pacemaker into his heart (hearts have 4 valves, only 2 of his were working). Apparently it's a relatively safe and routine surgery and people can be active within a week. And let me tell you, my dad is so psyched about his new heart! He's already talking about entering races and getting his times down, which just goes to show you that the competitive spirit never dies. On the one hand, I kinda roll my eyes and say Sure sure 12-minute pace sounds great, while wondering why it even matters. I mean, the man has run marathons at 5:30-pace! 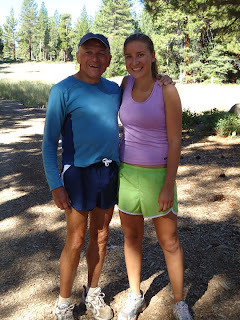 But as you get older and life changes, everyone has to adjust their goals in some way - and if my dad is any indication, there is no such thing as too old or too tired or too slow to try to improve yourself. Because if my parents have taught me anything, it's that self-imporvement what running is all about.